We are Windsor and Essex County’s Commercial Vehicle Center (CVC) Dealer; dedicated to providing you the commercial products and services that you require to maximize the operation of your business. Our commercial and fleet-specific vehicles, incentives and programs are designed to help keep your budget in line and your strategy on target. What separates Rose City Ford from the other CVC Dealers? 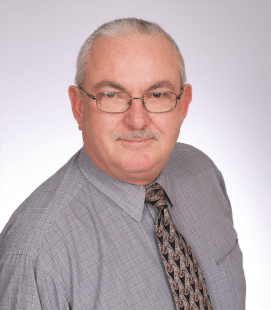 Let us introduce our secret weapon, Brad “Balzy” Ball, our Commercial Accounts Manager who brings to you over 45+ years of commercial expertise. As a multi-decade Summit Award Winner, Brad is the pivotal point of contact for servicing the needs of all our commercial customers. He is dedicated to learning about your business, understanding your unique needs and acting in your best interest; always. With Brad’s extensive knowledge of all Built Ford Tough F-Series products including the F-150, Super Duty Pickup, Medium Trucks, E-Series as well as the Transit Van and Transit Connect vehicles, the possibilities are endless for you and your business. Brad will help identify your vehicle requirements and advise you on the right solution for your business all while maximizing your budget with available incentives and programs. Plus with Brad’s access to the Area’s Largest Selection of Commercial Ford Vehicles In-Stock and Ready for Immediate Delivery he will keep your business mobile and on the road worry free! Whether your business is Construction, Electrical, Plumbing or you’re a General Contractor; let us help your business go further; make Rose City Ford your Commercial Vehicle Center Dealership and EXPERIENCE THE “BALZY” DIFFERENCE TODAY! ﻿﻿﻿﻿﻿﻿﻿﻿Rose City Ford takes care of you with our Business Commercial Vehicle Center Standards that focus on all of your transportation requirements for your business. Commercial Vehicle Center dealers are certified experts in finding the right vehicle for your particular application. Among the methods employed is a proprietary Ford software system called Commercial Vehicle Tools (CVT). It provides the GVWR, payload, cargo volume, upfit and other vital specifications the dealer uses to match a vehicle to your exact requirements. Commercial vehicles are also available on-site for you to inspect and test-drive. Rose City Ford recognizes the importance of servicing your vehicle quickly - and more importantly doing it right the first time. We understand that vehicle downtime costs you money. Priority scheduling. Extended hours. Specialized training. Improved in-stock parts availability. Service discounts. New service part warranty. Extended service plans. Rentals and loaners available. And more. Enjoy all the features specifically geared to your business that relies on dependable commercial vehicles. Controlling vehicle operation costs is a critical component in your business plan. Rose City Ford can provide you with details about several Ford Service Plans that are designed to assist you in this aspect of your business. These Comprehensive Service Plans range from the Ford Maintenance Protection Plan (FMPP), to our DieselCARE Total Program and a variety of Extended Service Plans. Ford of Canada delivers on its promise to offer a complete line-up of top quality vehicles - including the "Built Ford Tough" line of F-Series trucks, reliable E-Series vans, the versatile Transit Connect as well as special product options and accessories developed with the business operator in mind. You'll have the confidence of knowing each Ford vehicle is engineered to exacting standards of safety and performance. This same attention is applied to the aftermarket body companies & modifiers that participate in our Body Pool and Ship-Thru modifier programs and are a critical source for satisfying unique up-fit requirements we encounter daily. With expert knowledge of commercial vehicles and their applications, your Commercial Vehicle Center dealer is specially qualified to meet your unique commercial needs — to ensure the right upfit body or accessory for your application is built and installed to your precise specifications, to make sure you benefit from any financial incentives available, and to get your completed vehicle on the job as soon as possible and working hard for you. Find up-to-date Fleet and Vehicle Information -- view the complete Ford of Canada vehicle line-up without leaving your home or office! From alternative fuel vehicles, to specialty vehicles, this section provides you with all the information you need. See your dealer for product services and vehicle ordering details. Get the best care for your vehicles with programs like the Quality Fleet Care Program-- this program offers a bundle of customer support services uniquely designed for Ford of Canada fleets. It's our way of saying thanks for your loyalty. Whether you have three or 3,000 vehicles in your fleet, this program gives you higher vehicle in-service time, streamlined (and potentially lower) repair costs and overall increased efficiency in the coordination, tracking and budgeting of your entire Ford fleet. To enroll for a Ford Fleet Identification Number (FIN) in Canada the fleet needs to contact a Ford-Lincoln Dealer or our Canadian Fleet Headquarters (FOCFHQ@ford.com or 800-668-5515).